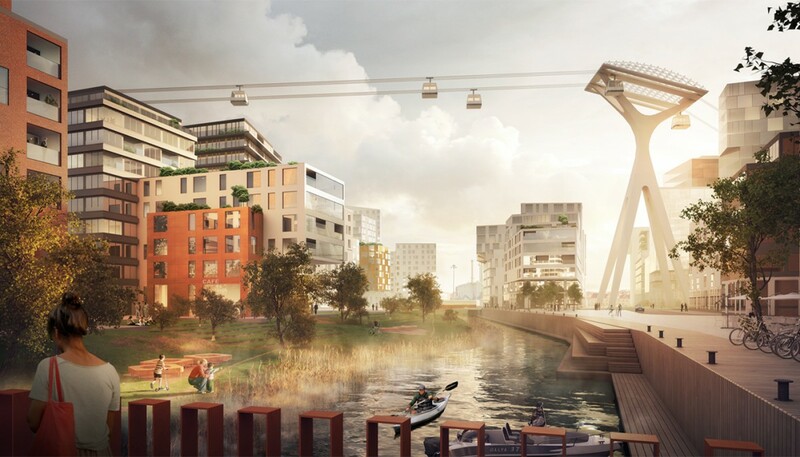 The proposal brings Linnéstaden to the water at Masthuggskajen, a harbour area next to the historic city centre of Gothenburg. A new artificial island with a highrise mixed-use development brings urban life down to the water. 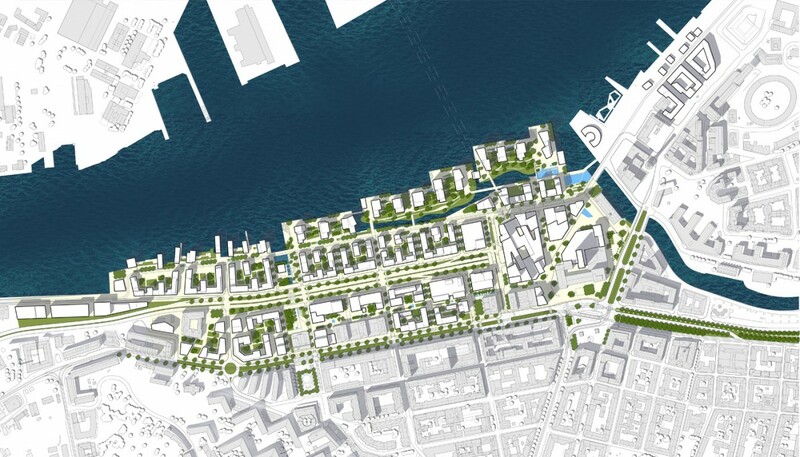 The proposal connects Linnéstaden to the water at Masthuggskajen, a harbour area next to the historic city centre of Gothenburg. The proposal provides for a big variety of well-defined public open spaces along the river, from small intimate spaces for informal meetings to large spaces corresponding to the scale of the harbour. 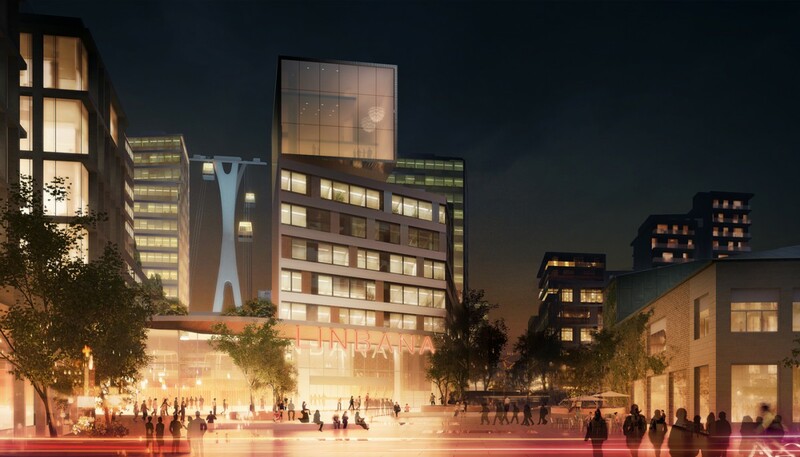 The mix of uses and types of public spaces shape a strong platform for a vibrant and urban life. With an urban vision for traffic movements, a larger and coherent sequence of public spaces from Järntorget to the river is achieved. A new artificial island with a highrise mixed-use development brings urban life down to the water. The River Park between the old riverside and the new island is a new grand public space for all citizens with a south facing water edge protected from the western winds. This would provide for new ways to explore the river in central Gothenburg that do not exist today. The River Park between the old riverside and the new island is a new grand public space for all citizens with a south facing water edge protected from the western winds. 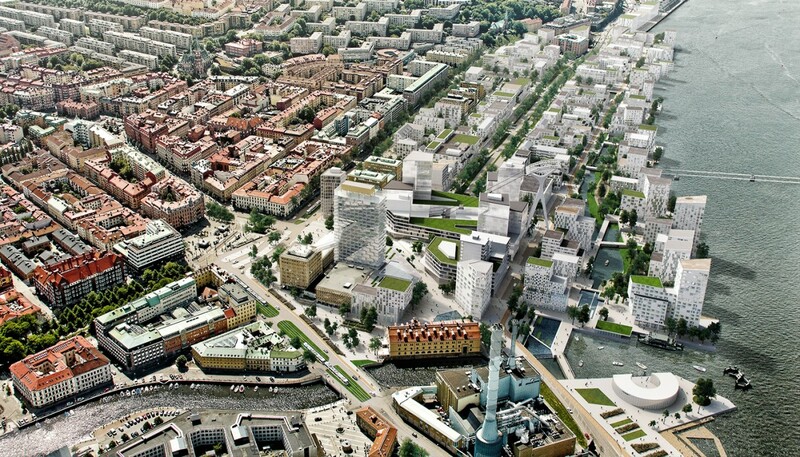 With an urban vision for traffic movements a larger and coherent sequence of public spaces from Järntorget to the river is achieved.